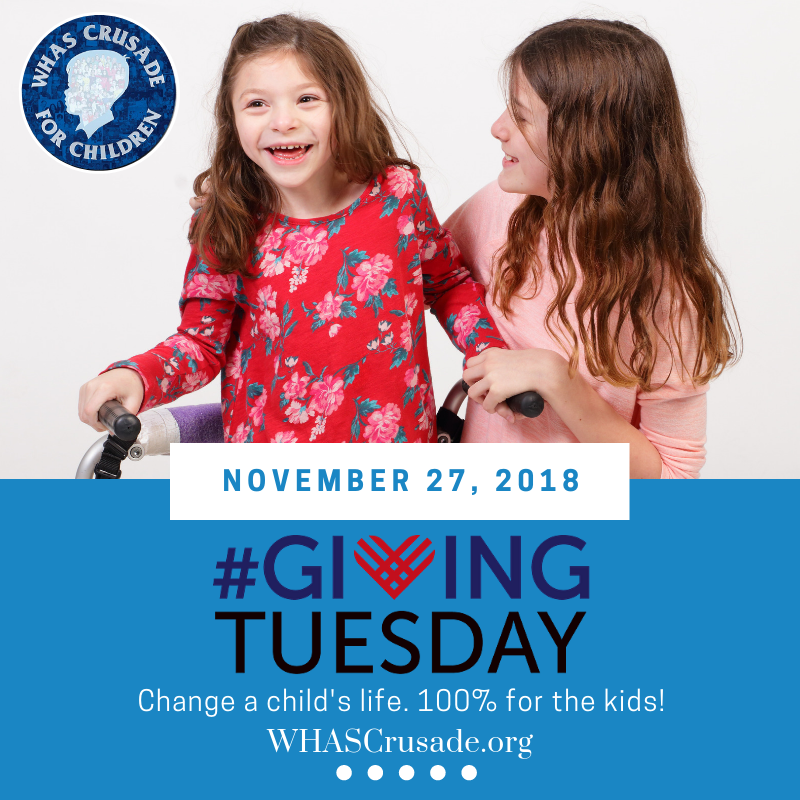 The WHAS Crusade for Children, Inc. established in 1954 by WHAS-TV, raises money for schools, agencies and hospitals to better the lives of special needs children. 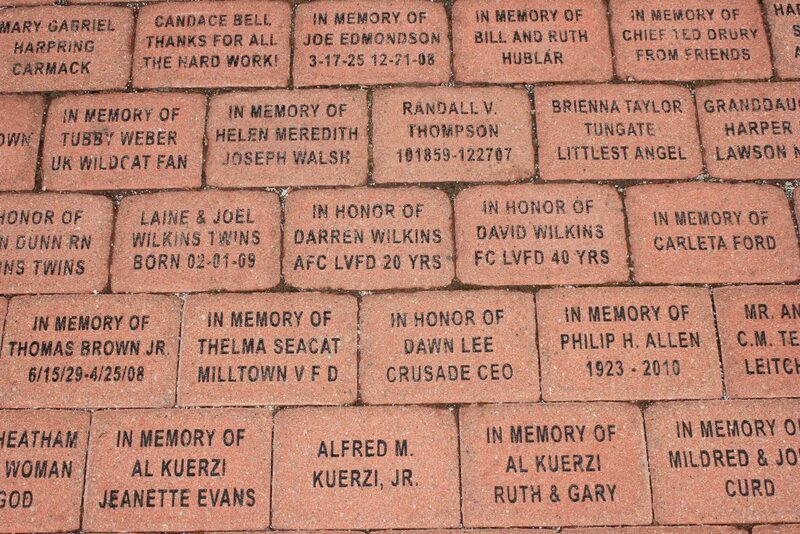 In its first 65 years, the Crusade has raised more than $180 million. Ho ho ho! Give the gift of running and save $$$! Sign up for the Louisville Triple Crown of Running and receive $15 off your entry fee now until January 14, 2019. 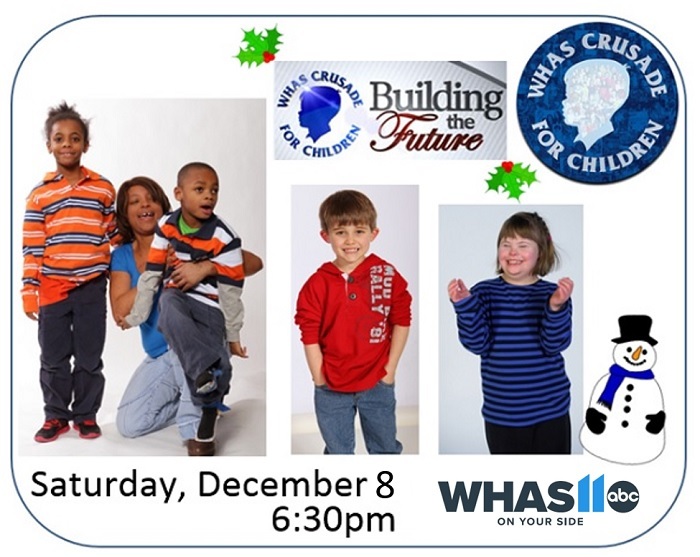 The 10th annual WHAS Crusade for Children “Building the Future” mini-telethon will air Saturday, December 8th 6:30 to 8:00pm on WHAS11. You’ve heard of Black Friday, Small Business Saturday and Cyber Monday…now today is GIVING TUESDAY! 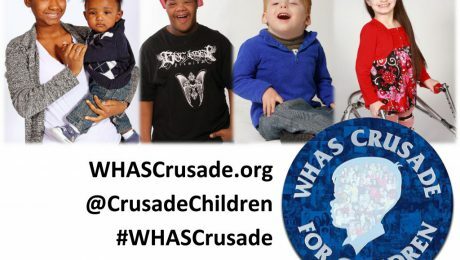 Make a difference in the life of a child with special needs with a tax-deductible donation to the WHAS Crusade for Children. 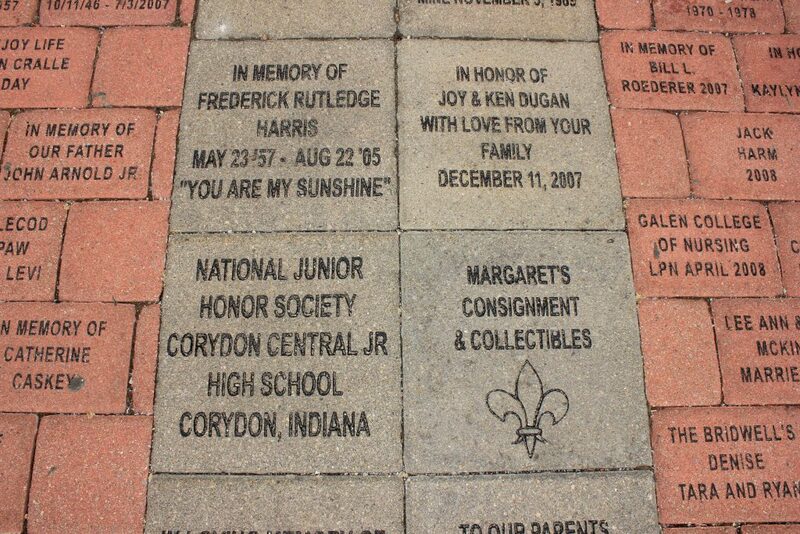 Give a gift to the person who has everything. Make a year-end tax deduction. 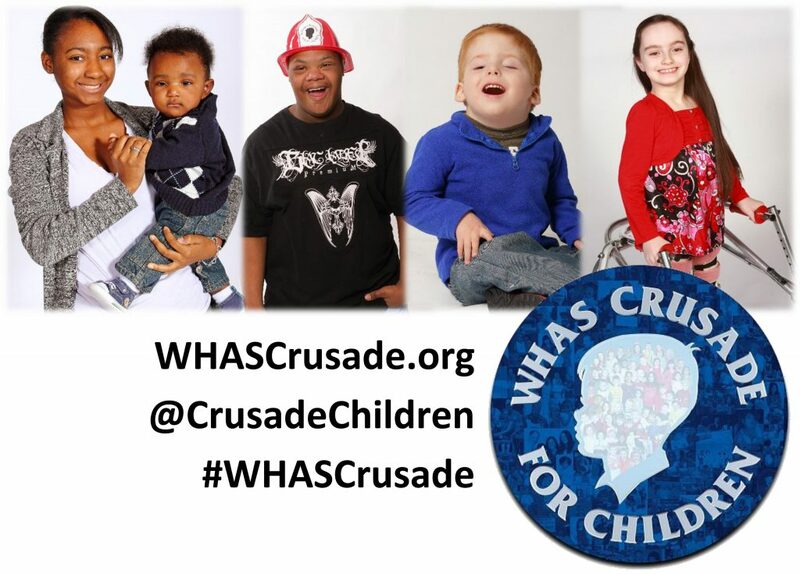 Thanksgiving Day at 4:00pm on WHAS11, watch a 2 hour WHAS Crusade for Children special program showing your generosity at work helping children with special needs. Plus you’ll see great performances from past Crusades. 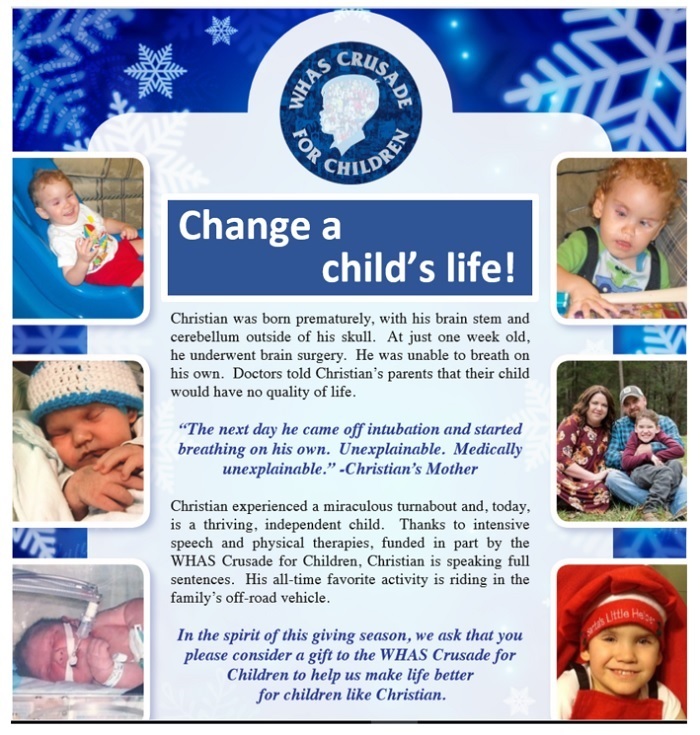 Join Terry Meiners and Rachel Platt for this heartwarming holiday special and see how you are making a difference. With advancements in neonatal care even the smallest of premature babies are enjoying healthy outcomes. One of those babies is Esther Catlett. Thanks in part to WHAS Crusade for Children funding to Baptist Health’s Neonatal Intensive Care Unit, the Catlett family is celebrating a milestone for Esther. According to the Centers for Disease Control, Down Syndrome continues to be the most common chromosomal disorder with about 6,000 babies born with Down Syndrome each year in the U.S. But 4-year-old Harrison is too busy enjoying life to be bothered with statistics thanks to the WHAS Crusade for Children and the Child Development Center of the Bluegrass at the University of Kentucky. In the two years that Harrison has been coming to the Center, his parents say they’ve seen marked improvement in his physical movements and his social skills, as well as his vocabulary. 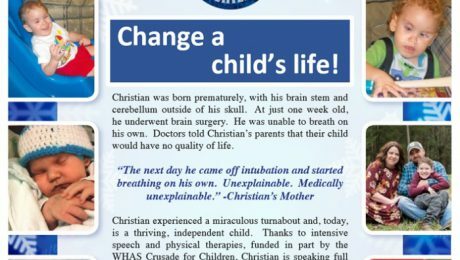 Since 1999, the Child Development Center of the Bluegrass has received $79,000.00 in WHAS Crusade grants to help children like Harrison. 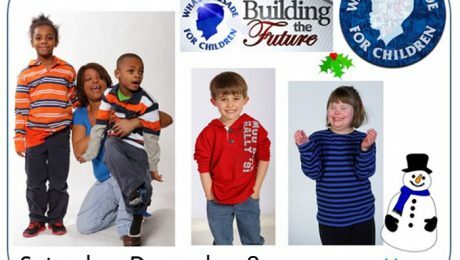 In this full unedited interview, telethon pioneer Orman Wright takes us back to the early 1950’s explaining how his work with the United Cerebral Palsy of Kentucky organization helped start the WHAS Crusade for Children.